Consulting an expert in landscaping design for help in determining outdoor patio sizes in your Omaha, Nebraska home plays an important role in the end result’s overall functionality. There are many factors to consider in determining the perfect outdoor patio size, but for the best results, contact a landscape design company in Omaha. What will your space be used for? 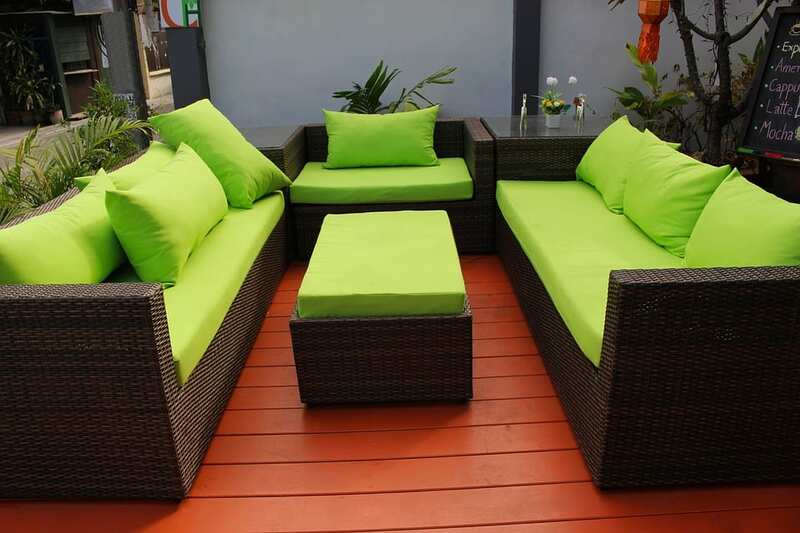 When determining outdoor patios consider the number of people frequenting the space. Those frequently hosting parties will be looking at vastly different outdoor size than those adding a patio for a secluded reading getaway. Good landscape designers will know the standard minimum space required to achieve your goals. Based on purpose, some patios may require kitchen access while others may require a more secluded location on your property. As previously mentioned, discuss the purpose of your patios with your landscape designer and how you will be using this area, whether it will be a simple barbecue area or an elaborate secluded getaway. There are many different patio shape options. Square patios are common and cost effective, as are round patios with central focal points. Asymmetrical or free-form patios using curves or angles are also an option. Proper landscaping can really make your patio pop. Enlisting the help of a landscaping design company in Omaha will ensure you get the “wow” effect you are looking for. Take into account whether you are a plant lover or low-maintenance person when making landscaping decisions and consider outdoor patios sizes when selecting plants, trees and shrubs. Fireplaces and water features affect outdoor patios and contribute to your patio’s ambiance. Lighting should be considered as well. Big or small, extras are often what identify the patio as yours.